I am just so busy lately! Between my dance life and my daily life, it feels like I'm juggling all sorts of things. There is pretty much not a single day where I don't have some sort of specific obligation. I know this is normal for a lot of people but not for me. I'm trying to adjust to it, but as an introvert it's a little weird for me to be around other people almost every single day. Anyway, yesterday and today were both troupe practices today. TTBDC worked on some sword and veil numbers, as well as picking out more music to build some full set lists. 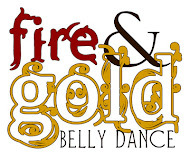 Fire and Gold gained 3 new members, who had to be caught up to speed on the choreography. This meant that our formation had to be rearranged, with irritated me for no good reason. I was USED to where I was standing, and then I had to MOVE! The indignity! I need to work on not being irritated about silly little stuff in dance. This post probably makes me sound pretty lame, but it's true. I am not really the cool, collected person I'd like you all to think I am! I'm a work in progress and sometimes I have stupid problems like wanting to sit at home alone on my couch instead of seeing people, or not wanting to make changes to how I was already doing things. I should really be writing this stuff in my private dance journal instead so I could maintain my facade of awesomeness!